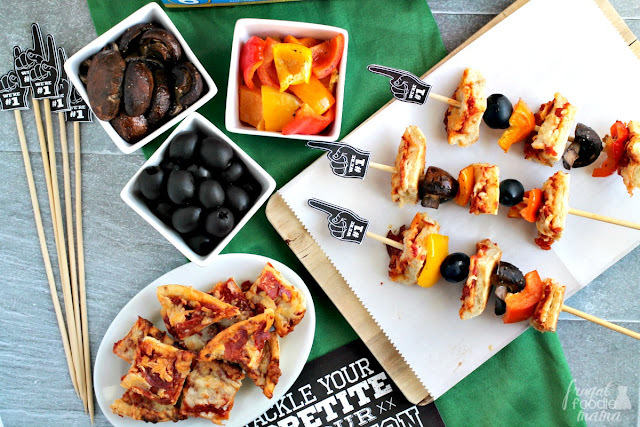 Bite-sized pieces of crispy cheese & pepperoni pizza are skewered with your favorite pizza toppings in these Easy Pizza Kabobs... perfect for game day entertaining! This post is sponsored by Red Baron Pizza and The Women's Blogger Network. As always, all opinions & thoughts expressed below are 100% my own. 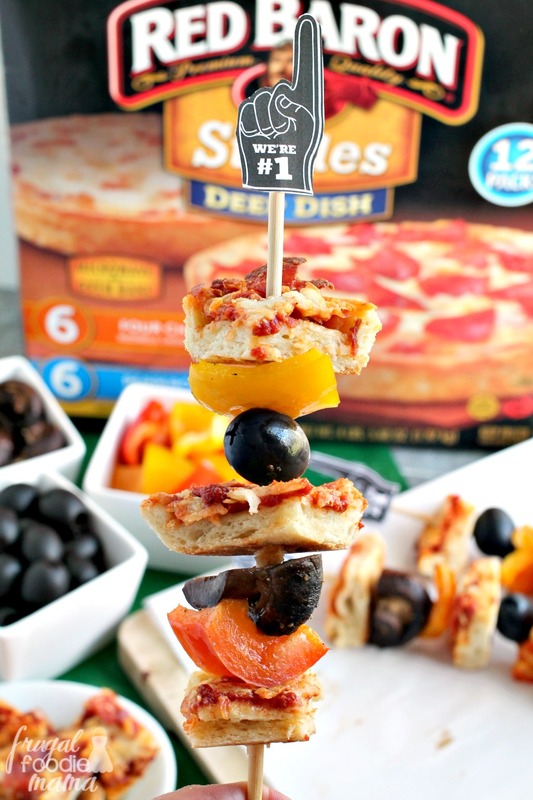 To make these Easy Pizza Kabobs, I picked up a box of our favorite Red Baron Deep Dish Singles at my local Sam's Club while I was there doing my weekly shopping. 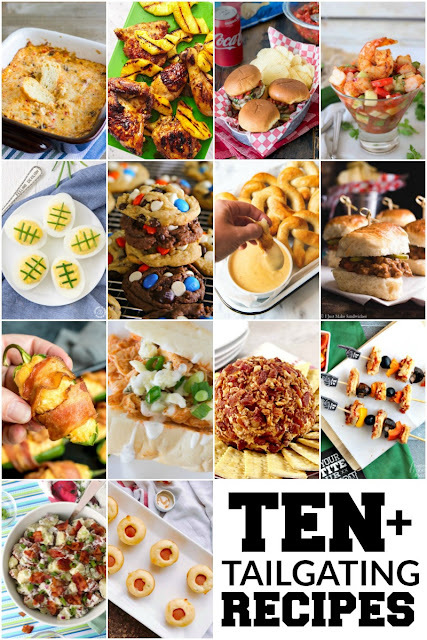 Sam's Club is my go-to when picking up goodies & supplies when I know that I am going to be hosting a game day party because: A. I can find everything that I need to feed a crowd there at an affordable price. & B. It is quick & convenient since I am already there shopping for my family's everyday needs. Feel free to change up or switch out the toppings for your kabobs to met the preferences of you and your party guests. Other tasty topping ideas would be whole pepperoncinis, pan fried sausage slices, & grilled pineapple chunks. 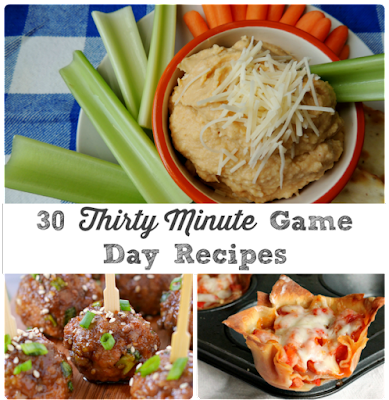 Serve your kabobs alongside bowls of Ranch dressing & garlic sauce for dipping. Make a few kabobs ahead of time & present them on a serving tray as an example for your football party guests. 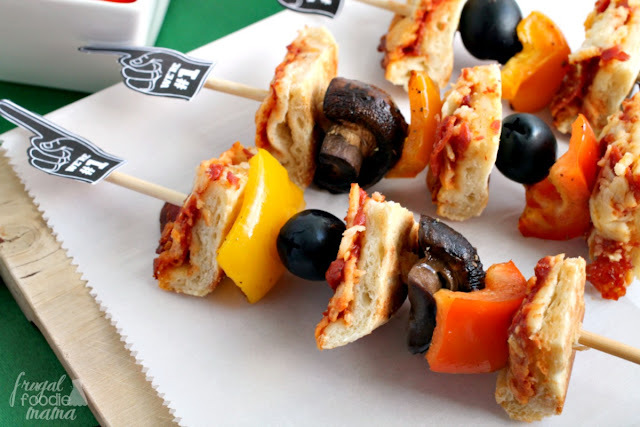 Then let them go crazy creating their own pizza kabobs with their favorite toppings. 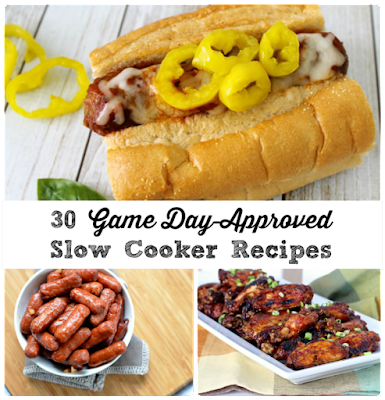 This recipe can easily be doubled or tripled to feed larger crowds. 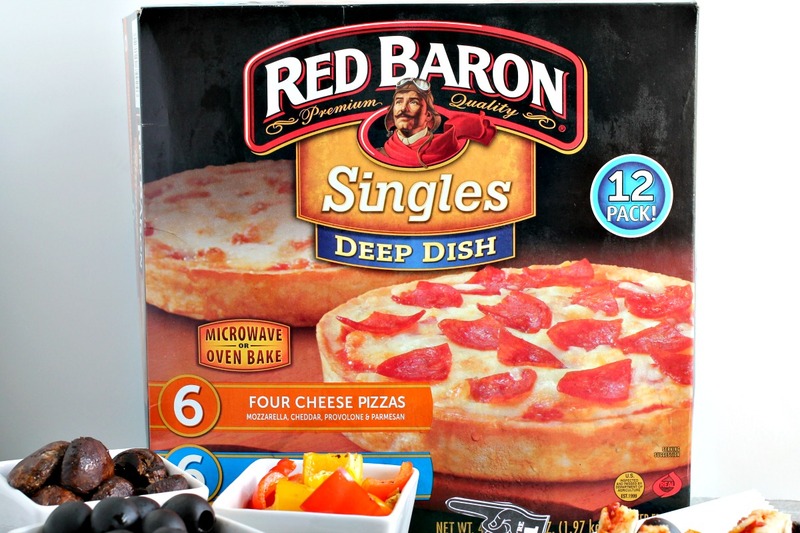 Prepare the Deep Dish Singles according to the package directions. You can microwave them, but I recommend baking them for a crispier crust. While the Deep Dish Singles are baking, wash & cut your mushrooms & bell peppers. In a medium bowl, toss the sliced mushrooms & peppers with the olive oil and salt & pepper. Spread out evenly onto a baking sheet. Roast at 450 degrees for about 15 minutes. Allow the Deep Dish Singles to cool slightly. Using a pizza cutter, slice each single into bite sized pieces & then plate them. Place the roasted mushrooms, bell peppers, & the black olives into separate serving dishes. Serve all of this alongside the wooden or bamboo skewers. You can assemble the pizza kabobs ahead of time if you would like, but I think it is more fun to let your party guests customize & make the kabobs themselves. 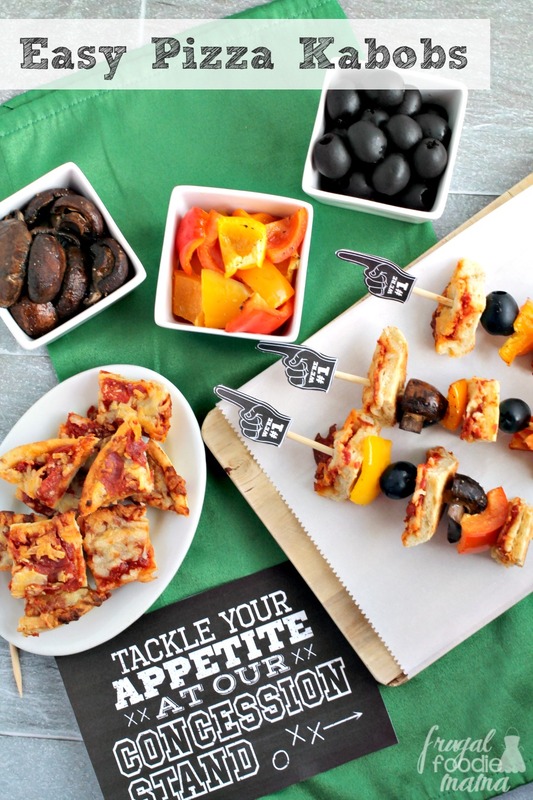 This recipe will make 12-14 kabobs as long as you use about 3 pizza pieces per skewer. Serve while still warm. Enjoy & go team! 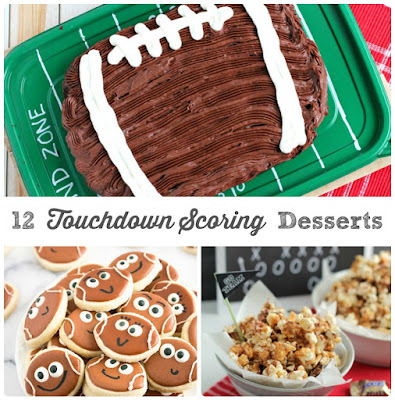 How do you make sure that game day entertaining is simple & fuss-free, but also fun when hosting a football party?